When Neelie Kroes took office in 2009, many interpreted her move from competition to the newly-created digital agenda portfolio as a step down the career ladder. Five years on, digital agenda has climbed to the very top of Europe’s policy priorities. During the election campaign, lead candidates seemed keen to agree on its importance in making the continent more connected and prosperous, and more than 400 candidates signed the WePromiseEU charter, pledging to defend net neutrality and data privacy. 83 of them were elected. ICT issues are likely to only become more salient over the coming five years. Business, consumers and civil society campaigners are all calling for legislative action on a laundry list of issues that have lately been making headlines: internet privacy, cybersecurity, copyright issues, net neutrality, internet governance and the digital single market to name just a few. EU officials, whose competences are in danger as anti-EU voices gain clout, can see the digital agenda as an area where ‘more Europe’ could not just be uncontroversial but even popular. A new Committee in charge of building a connected Europe? While some might have gotten the impression that Neelie Kroes has promoted digital issues almost single-handedly, several MEPs have tacitly helped push the European Parliament to double down on legislative efforts over the past five years. Perhaps most notable among them was Marietje Schaake, an ALDE MEP from the Dutch Democrats 66 party, the surprise EP election winner in the Netherlands. It was Ms Schaake who recently called for the creation of a dedicated parliamentary committee responsible for ‘Digital Affairs and Technology’. Schaake argues that it should ‘allow for a better allocation of knowledge and resources,’ leading to a stronger impact of the Parliament in the policy-making process. Digital: a horizontal or centralised issue? Despite all the noise around ‘digital’, we can still ask whether it really is a new policy area, or rather a new horizontal issue which should be factored into all policy proposals. Indeed, not many member states have ministers – or parliamentary committees – exclusively devoted to digital issues. While parallels between the private and public sectors are often hollow, the digital challenge is causing similar headaches to private organisations, pressed to decide between running dedicated digital teams and integrating digital aspects into their overall strategies. In his book ‘Digital Adaptation’, Paul Boag argues that while all organisations will ultimately integrate digital into their DNA and become ‘digital by default’, most companies will need to keep digital strategies and teams separate during the transition to help the organisation focus. It may well happen that we will not need a dedicated committee in the future, but such bodies can help us get to that point faster. The challenge of horizontal issues is not a new one but it does not seem that the broad scope of ‘supercommittees’ such as ITRE and ENVI is necessary to tackle it. Presently, competences for digital affairs are scattered across several parliamentary committees, with the Industry, Telecommunications, Research and Energy Committee (ITRE) having led the bulk of ICT issues in the past. But out of last year’s top nine digital agenda dossiers the Parliament identifies here, five were dealt with by associated or joint committees, while two were led by other committees. These two large committees deal with a number of only loosely related topics. It is understandable that many of their members are only really interested in health or energy for example while the rest of their committee’s agenda leaves them cold. On the other hand, day-to-day management of a smaller committee should be more efficient and allow for better scheduling and flexibility in organising side events such as public hearings, which are important for fostering informal debate. The Parliament already has some fairly specific committees. The fact that a ‘gender’ dimension is to be mainstreamed across all policy areas did not prevent the Parliament from setting up a dedicated FEMM committee. The reasons behind setting up committees may indeed be political rather than purely technical in nature. The EP feels mounting pressure to position itself as the true citizens’ mouthpiece, with participation in the European elections up only by a fraction and a Eurosceptic vote on the rise. Crafting a profile on popular (not necessarily populist) legislative proposals could be an important signal to the voters. April 2014 saw an example of such a move when the EP adopted a position defending net neutrality. At first sight, the internal politics look similarly favourable. 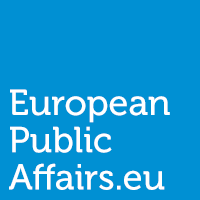 As the Parliament strives to bolster its position among the three institutions, a separate committee could be justified by the need to match the Commission’s dedicated directorates and member states’ experts to ensure the Parliament is not the weakest player simply because of a lack of supporting policy staff. An additional committee could also help satisfy smaller political groups empowered by the elections by creating an extra committee chair position – provided they are interested in taking one. First, the establishment of new committees inevitably leads to turf wars with existing committees. This may threaten to derail the EP’s efficiency as decisions by a digital committee on any of the high-profile digital issues are sure to provoke demands to voice opinions by other committees whose competences they threaten to encroach (Internal Market (IMCO), Legal Affairs (JURI) and Civil Liberties (LIBE)). The already existing system of lead, associated and opinion committees is designed to help deal with cross-cutting issues, but the Parliament’s leadership needs to ensure it is not misused and does not fragment and delay the legislative process. Second, besides risking political frictions, the new committee may face difficulties to garner the necessary administrative resources with the Parliament’s budget limited by the multi-annual financial framework until 2020. This could make it difficult for the new committee to increase its expert staff, merely drafting some of the advisers already working on these issues for ITRE. When the formation of the new political groups draws to a close, the battle over the formation of new policy committees will start. ICT is not the only candidate for a new committee – proposals to split environmental and health-related issues to separate committees which circulated in 2009 are also likely to appear on the agenda of the reshuffling process. Members of committees are elected during the first part-session following the elections – in this case the first week of July – and again two and a half years after. In addition to weighing the political considerations shaping these proposals, caution should be given to balance the advantage of gaining a more tailored committee design and a higher public profile for important agendas against the risk of losing efficiency, expertise and an eye for the horizontal dimension of the new committee’s topics. If the Parliament manages to properly balance all these delicacies, a new Digital Affairs and Technology Committee, managing to manoeuvre the fine line of technical adequacy and intra- and inter-institutional politics, could help greatly to strengthen its position and showcase its relevance – not only to Europe’s digital natives. PreviousFrance: Cleaning up the political mess after the earthquake?